The Waterford Healing Arts Trust (WHAT) invites artists of all arts disciplines to apply for its 2017 Artist-in-Residence programme. WHAT has been running an Artist in Residence programme since 1994. 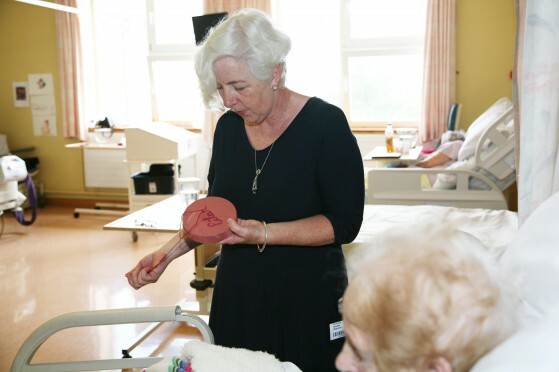 This year, the focus of this residency will be the artist’s engagement with patients in University Hospital Waterford in participatory / collaborative arts experiences. The successful artist will receive a studio space for a six month period in the WHAT Centre for Arts and Health, a bursary and support from WHAT staff. The closing date for applications is Thursday, 2 March at 2pm. Interested applicants are invited to attend a briefing session in the WHAT Centre for Arts and Health on Tuesday 14 February 2017 at 2pm. Please phone 051 842664 or e-mail WHAT@hse.ie no later than 10 February to book your place.